One of the great puzzles of evolutional biology is what induced certain living creatures to abandon solitary existence in favor of living in collaborative societies, as seen in the case of ants and other social, colony-forming insects. A major characteristic of so-called eusocial species is the division of labor between queens that lay eggs and workers that take care of the brood and perform other tasks. But what is it that determines that a queen should lay eggs and that workers shouldn't reproduce? And how did this distinction come about during the course of evolution? Evolutionary biologist Dr. Romain Libbrecht has been considering these problems over the past years and in cooperation with researchers at Rockefeller University in New York City has found a completely unexpected answer: one single gene called insulin-like peptide 2 (ILP2), which is probably activated by better nutrition, stimulates the ovaries and triggers reproduction. 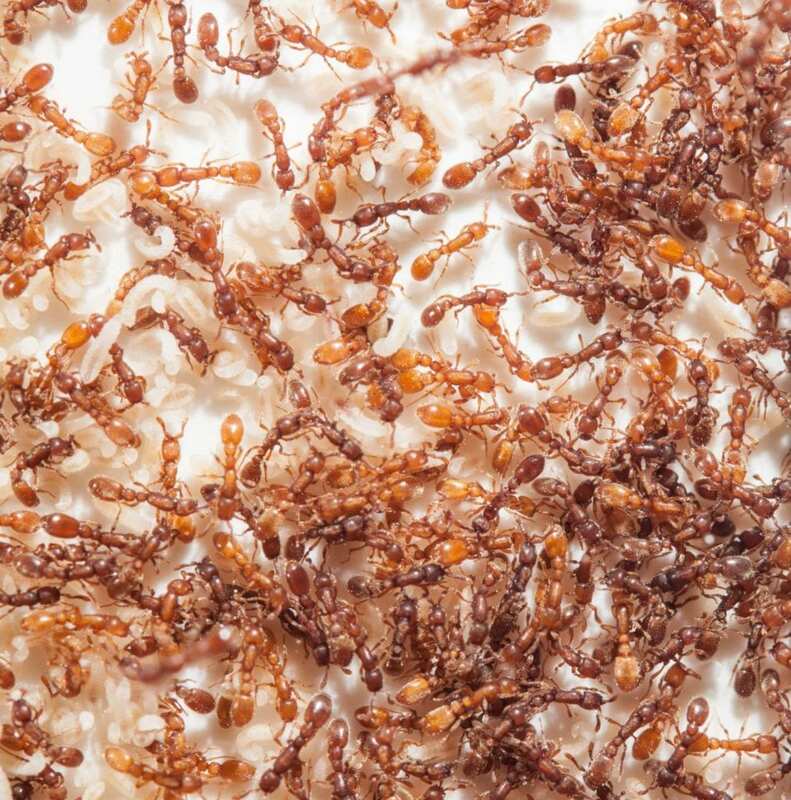 Libbrecht and his colleagues in New York City investigated the ant species Ooceraea biroi to determine the molecular mechanisms underlying this division of labor. O. biroi is a small species of 2 to 3 millimeters in length that originated from Asia but has spread throughout the tropics. The insects live in underground passages, attack the nests of other ant species, and feed on their brood. The unusual thing about the O. biroi species is that there are no queens, only female workers. However, every female worker can reproduce through parthenogenesis. This means that a female produces another identical female – the insects in effect clone themselves. And they always follow a specific cycle: all female workers lay eggs during an 18-day period, after which they spend 16 days gathering food and feeding the larvae. The cycle then begins once again. Romain Libbrecht joined Johannes Gutenberg University Mainz in 2016 and heads the Reproduction, Nutrition, and Behavior in Insect Societies group at the Faculty of Biology. Prior to his appointment he worked as a Marie Curie postdoc together with Daniel Kronauer at Rockefeller University.